Cape Town wouldn´t be Cape Town without Table Mountain… it´s what makes the city special, this mountain, and no matter where you are on the Cape Peninsula, you are always within a few kilometres of some part of this small but beautiful range. And us Capetonians are quite precious about “our” mountain… take one of us out of this city and dump us in a place that´s completely flat and featureless and we wander around like lost lambs… we navigate and tell direction with our mountain, we use it to tell how the weather is going to be that day, we live in it´s shadow and love it as much as we love our beaches and our wine lands and our laid-back way of life… this mountain is a pretty special thing. Below is a photo taken from Table Mountain of Lion´s Head, to give you an idea of what we were climbing in the previous photos. Another hike that we did was on Table Mountain itself, we started off early in the morning on the Pipe Track above Camps Bay, hiked up through Kasteelspoort to the top and then headed back along the top towards the cable car station on the front of the table. We caught the cable car back down again, but if you wanted to walk you could take Platteklip Gorge down the front face. Fantastic images Kerry….particularly like the 5th one from Lion’s Head…lovely shallow DoF and including the shadow of the man in the bottom left corner definitely adds to the composition. 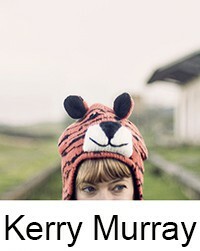 Kerry, you have some very good photos here. Congrats. I dream about travels like that, hovewer… I can’t afford that (I live in Croatia, and standard is very bad here). Did you use a filters when post-processing your photos? Yes, I edit all my images in Lightroom and have several presets that I use.